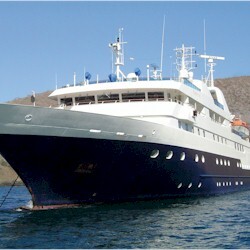 Disembarkation, Baltra Island - At the end of your cruise, you will return to Baltra to say farewell to the enchanted islands. After your last zodiac ride and a short bus ride, you'll arrive at the Baltra airport for your onward journey. 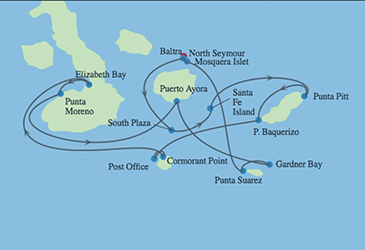 Roundtrip from Isla Baltra, and calling on North Seymour, Santa Cruz, Santa Fe, San Cristobal, Floreana, Isabela, and Espanola Islands.